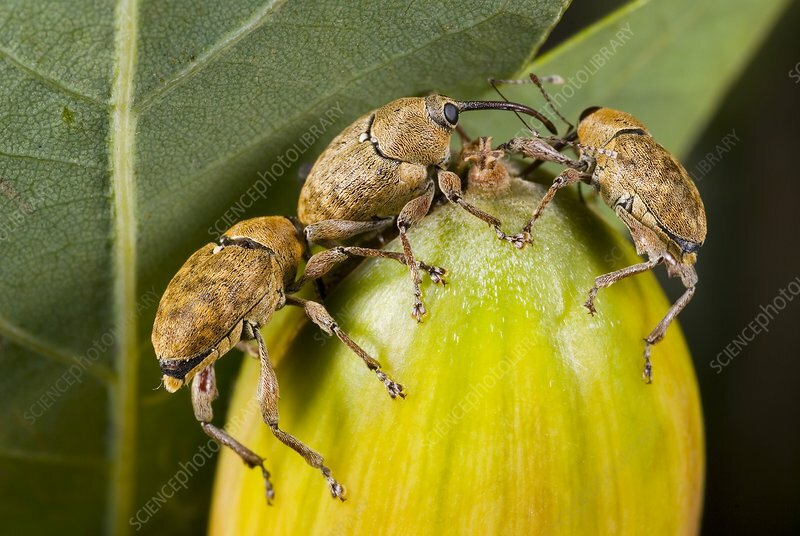 Acorn weevils (Curculio glandium) on an acorn from an oak (Quercus sp.) tree. Photographed in Poland.